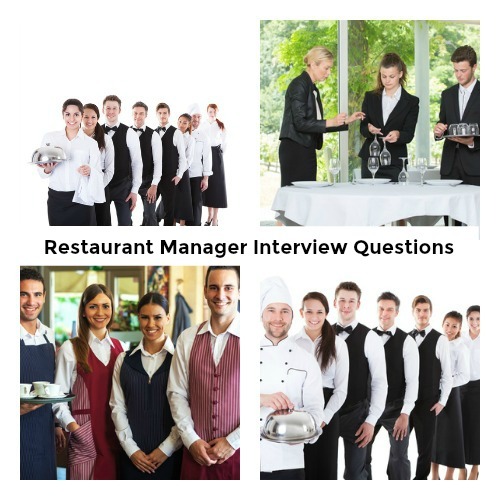 Expect these restaurant manager interview questions that explore your strengths, skills and expertise for the job opportunity. You will be asked behavioral interview questions to assess your competency in areas such as decision-making, conflict-management, organizing and planning as well as open-ended interview questions that explore your suitability for the specific job including your commitment and motivation. Your interview research will help you with this question. Find out as much as you can by visiting their website, checking social media pages, reading customer and professional reviews. All the better if you have made a point of visiting the restaurant and even having a meal there. Why would you like to be a manager at this restaurant? Focus on the positives you have picked up about the restaurant and the potential you believe it has to be even better. Provide specific details about how you would build on the positives and deal with areas for improvement. It is key that you convince the employer of your sincere commitment to the success of the restaurant. 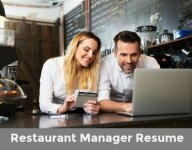 You need to fully understand the role of the restaurant manager and in particular the key requirements for this job. Discuss your previous success in ensuring profitability, building sales, securing excellent reviews, retaining and developing employees and delivering a great restaurant experience. 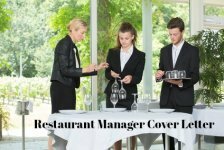 This restaurant manager interview question explores your personal management style and how you relate to employees. Your style should fit with the culture of the team and restaurant. "I have found that it is most effective to adapt my management style to the individual I am dealing with and the situation. For a more inexperienced employee I use a high level of instruction and close supervision and support. A more competent employee responds better to delegation. In my experience it is important to develop your team and show confidence in their abilities. This includes providing role clarity, communicating clear expectations, giving feedback and maintaining open communication at all times." Describe your strengths that are relevant to the job and will be of direct benefit to the employer. This list of strengths will help you. You can find practical help with answering this question at interview question weaknesses. These behavioral based interview questions ask you to provide an example of when you previously demonstrated a required competency. You can find out more about how to answer these type of interview questions at the behavioral interview. Tell me about a decision you recently had to make at work under intense time pressure. This question is used to assess your decision-making and judgment. Include the following steps in your answer - considering the relevant facts carefully, weighing up the alternatives and deciding on the best course of action. It is important to highlight your ability to remain clear-headed under stress, restaurant staff often work under high levels of pressure. How have you managed an employee who is under performing? In your interview answer discuss how you probed the reasons for poor performance by asking questions and listening. From this conversation you would be able to determine if the employee had the necessary resources, skills and motivation to perform and provide the right support to improve performance. Tell me about a situation when you had to discipline an employee for poor performance. If poor performance continues it is necessary to follow the correct disciplinary process. In your interview answer show how you can be authoritative and firm when necessary. Tell me about a time you identified and resolved a small problem that could quickly have escalated. This is about your ability to detect problems early on. Focus on your attention to detail and your use of available data to identify any issues. Show how you are able to analyze a situation to determine the underlying cause of the problem and to provide the right solution. Find more manager behavioral interview questions here. Tell me about your success in managing costs. How have you used data to bring about improvements? How do you stay up-to-date on revenue reports? What controls do you use to monitor inventory? How do you prepare for a health inspection? What reports have you prepared for senior management? How do you apply and monitor quality management regulations? An interview is a two way conversation. It is important to have some insightful and smart questions ready to ask the interviewer. What do you consider to be the restaurant's biggest challenges? What is your growth plan for the next 5 years? What are the key competencies you are looking for in this position? What will be the manager's primary focus in the first 3 months? How will my job performance be evaluated? What type of people thrive in this company? Find more questions to ask here.